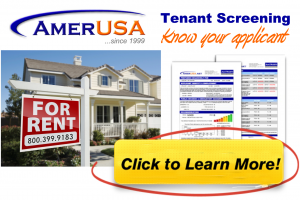 ATTENTION: PLEASE READ THESE TERMS CAREFULLY BEFORE USING THIS AMERUSA CORPORATION (“AmericanLandlord.com”) WEBSITE. BY USING THIS WEBSITE YOU INDICATE THAT YOU ACCEPT THESE TERMS. IF YOU DO NOT ACCEPT THESE TERMS (the “Terms”), DO NOT USE THIS WEBSITE. The AmerUSA Corporation of Florida either owns the intellectual property rights in the underlying HTML, text, images, audio clips, video clips, software and other content (collectively, the “Content”) that is made available to you on this website, or has obtained the permission of the owner of the intellectual property in such Content to use the Content on this website. Except as provided in these Terms, AmericanLandlord.com prohibits the redistribution or copying of any Content on this website without its express written permission. AmericanLandlord.com hereby authorizes you to display on your computer, download and print pages of this website, subject to the following provisions: (i) the copyright notice appears on all such printouts; (ii) the information will not be altered in any manner; and (iii) the Content is only to be used for personal educational and non-commercial use and will not be redistributed, broadcast or copied to any other media. The trademarks, logos, and service marks displayed on this website, including, but not limited to AmericanLandlord.com registered and unregistered trademarks of AmericanLandlord.com and others. Nothing contained on this website should be construed as granting, by implication, estoppel, or otherwise, any license or right to use any trademark displayed on this website without the express written permission of AmericanLandlord.com or such third party that may own the trademarks displayed on this website. Your misuse of the trademarks displayed on this website, or any other Content on this website is strictly prohibited. The community forum postings are not monitored by AmericanLandlord.com at all times and include submissions from the general public and are provided “as is” without warranty. Any advice or opinion offered does not necessarily reflect the opinion of AmericanLandlord.com. If personal or commercial legal advice or other expert assistance is required, it is strongly recommended that the services of a competent and experienced professional should be sought. AmericanLandlord.com reserves the right to remove any posting or any user at anytime and for any reason. AmericanLandlord.com may provide links to third party websites, and some of the content appearing to be on this website may in fact be supplied by third parties (e.g. instances of framing of third party websites or incorporation of content through framesets). AmericanLandlord.com assumes no liability for any damages you may suffer from visiting such linked websites, including without limitation, damages caused by computer viruses, Trojan horses or other destructive/disruptive code which may be downloaded from such linked websites. Any links contained on this website shall not be construed as an endorsement by AmericanLandlord.com of any such linked website. AmericanLandlord.com has not reviewed or researched the full content on these linked websites and shall not be held responsible should you encounter any materials that may appear inaccurate, indecent or illegal. If you visit such a website that is linked to this website, please email “support @ american landlord .com” (remove spaces) or use the contact form and we will determine if the link should be removed from this website. While we have used our best efforts in preparing this website, we make no representations or warranties with respect to the accuracy or completeness of the contents. AmericanLandlord.com shall not be liable for any loss of profit or commercial damages, including but not limited to special, incidental, consequential or other damages. If personal or commercial legal advice or other expert assistance is required, it is strongly recommended that the services of a competent and experienced professional should be sought. Although AmericanLandlord.com uses reasonable efforts to ensure that all software provided at this website is suitable for use on a wide variety of computer systems, you should take reasonable and appropriate precautions to scan for computer viruses and ensure compatibility of the software with your specific computer system. AmericanLandlord.com may update and/or modify the information contained on this website at any time and without notice. IN NO EVENT WILL AMERICANLANDLORD.COM, ITS AFFILIATES, AGENTS OR OTHER THIRD PARTIES MENTIONED IN THIS WEBSITE BE LIABLE FOR ANY DAMAGES WHATSOEVER (INCLUDING, WITHOUT LIMITATION, DAMAGES RESULTING FROM LOST PROFITS, LOSS OF PROSPECTIVE ECONOMIC ADVANTAGE, LOST DATA OR BUSINESS INTERRUPTION) ARISING OUT OF THE USE, INABILITY TO USE, OR THE RESULTS OF USE OF THIS WEBSITE, ANY WEBSITES LINKED TO THIS WEBSITE, OR THE CONTENT CONTAINED ON ANY OR ALL SUCH WEBSITES, WHETHER BASED ON WARRANTY, CONTRACT, TORT OR ANY OTHER LEGAL THEORY AND WHETHER OR NOT ADVISED OF THE POSSIBILITY OF SUCH DAMAGES, OR FOR ANY CLAIM BY ANOTHER PARTY. IF YOUR USE OF THE CONTENT ON THIS SITE RESULTS IN THE NEED FOR SERVICING, REPAIR OR CORRECTION OF EQUIPMENT OR DATA, YOU ASSUME ALL COSTS THEREOF. If you breach any of these Terms, your authorization to use this website automatically terminates and you must immediately destroy any downloaded or printed Content. The AmerUSA Corporation will aggressively enforce its intellectual property rights to the fullest extent of the law. If any provision of these Terms shall be unlawful, void or unenforceable for any reason, then any such provision shall be deemed severable to the extent that it is lawful, void or unenforceable, but shall not affect the validity or enforceability of the remaining provisions.